Curtin Alumni Aidon Mong is a Business Intern for the City of Swan Council. Mong graduated Curtin University in 2014, with a Commerce Degree in Accounting and Accounting Technologies (Double Major). 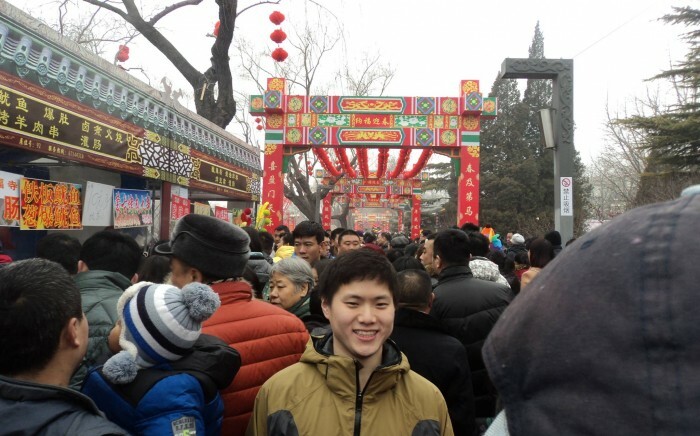 I participated in my first vacation work experience in February 2014 through the CRCC ASIA program, which placed me in a position with the Institute of Chartered Accountants in England & Wales (ICAEW) located in Beijing, China. Throughout this experience I developed a number of key skills, which greatly enhanced my employability and ultimately helped me gain my current position with the City of Swan. One of the first aspects employers always look for is confidence. Working abroad helped boost my confidence tremendously, both in and out of the workplace. At ICAEW, I worked closely with their Beijing Regional Director, and part of this role involved reporting and presenting to management. I was also tested on my ability to perform to high standards through administrative and high priority tasks. These responsibilities really helped me to step out of my comfort zone and tackle tasks head on, and I believe this has greatly improved my employability. One of the best parts of vacation work is exposure to workplaces, different types of businesses and team environments. As a C​urtin student in my final year, I wanted to experience work on a totally new level. I didn’t want to limit myself to workplaces in Perth, instead, I wanted to explore different types of workplaces, including those abroad. While working at ICAEW I was often involved in staff meetings with the regional director. In doing so, I was exposed to a different approach in business, including different strategies, and this broadened my perspective on how business in conducted in China. I believe the skills and experiences developed through vacation work really set me apart from other applicants when looking for further employment. As someone who didn’t know what to expect, my leap of faith resulted in an enriching experience, and I don’t regret a second of it. I greatly encourage all penultimate students to apply for vacation work, including work abroad, as it will greatly benefit your career in the long run. Currently, I am assisting in the City of Swan Capability Statement project. Part of my role as a member of the team includes conducting business research and outlining the capabilities for the Retail, Agriculture & Tourism Industries. I often refer back to my vacation work experience in order to identify different ways to approach problems we encounter. Ultimately my vacation work experience abroad has been an invaluable asset, and is an experience I will remember for a lifetime. For more information on the City of Swan, visit their employer profile page or company website. Looking for Vacation Programs? Here’s the latest from CareerHub.